Can You Deduct Fees for Setting Up a Revocable Trust From Your Taxes? 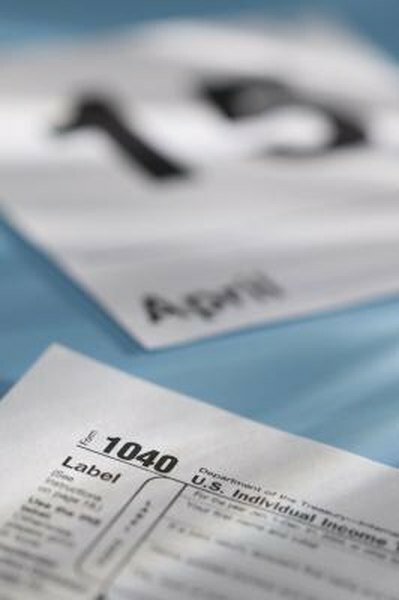 You can deduct all your tax preparation expenses on Schedule A. 1. Can Non Prescription Drugs Be Claimed as an Expense on Schedule A? 2. Are Conveyance Fees Deductible? The fees you pay to set up a revocable trust are generally considered personal expenses, which are not deductible for tax purposes. However, if you received advice about taxes or tax planning in relation to the trust, or if the trust includes provisions for the production or collection of income from property included in the trust, you may be able to deduct part of the fees. The Internal Revenue Service considers these valid deductions, and they can be claimed as miscellaneous itemized deductions. Before claiming the deduction on your tax return, ask your attorney or financial planner for an itemized statement of your fees. The statement should break the fees down into portions that relate to personal matters, tax matters and income-producing aspects. While tax advice is usually easy to define, what qualifies as an income-producing expense isn't always clear, so you may want to consult a qualified tax professional if you plan to claim this deduction. You can report the deductible amounts as miscellaneous expenses on Schedule A. However, you can only deduct the portion of miscellaneous expenses that exceed 2 percent of your adjusted gross income. Estate Planning Council of Chattanooga: Wills and Trusts -– When Are Fees Deductible? Are Attorney Fees for Social Security Benefits Deductible? Can Counseling Be Deducted as a Medical Expense? Is Renting a Room an Investment for Income Taxes & the IRS?